It is made entirely of carbon fibre. 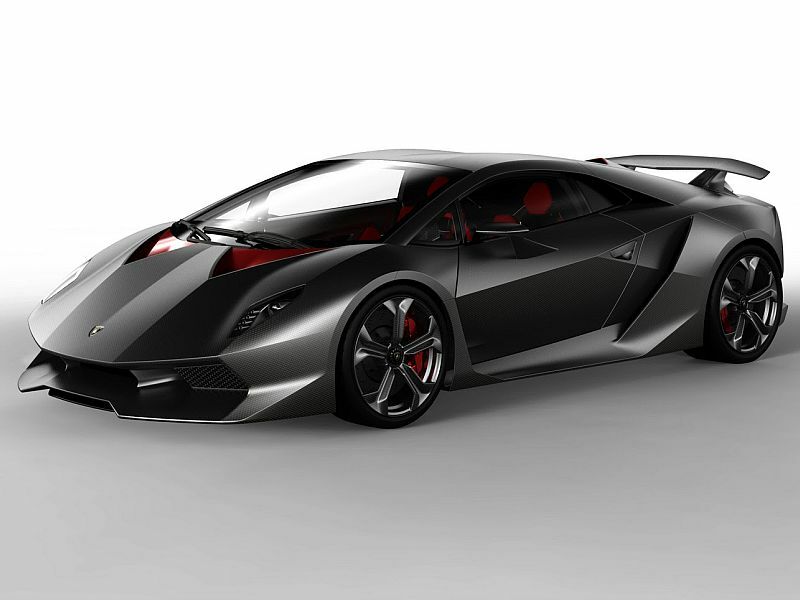 Carbon, if you were unaware, is the Sesto Elemento on the periodic table: the ‘sixth element’. This concept signals Lambo’s intention to withdraw from the Top Speed War which the world’s supercar makers have been embroiled in for some time, and instead focus on something much more doable – power-to-weight. Top speed is ‘over 186mph’. But, says Lambo, “what the figures cannot convey is the Sesto Elemento’s razor-sharp handling, voracious turn-in and huge braking power”. Lambo Sesto Elemento. The concept gets four-wheel-drive, Lambo’s E-Gear auto box and, alongside the extensive carbon fibre, carbon fibre reinforced plastic (CFRP), including the insides, which are as spartan as the looks are outrageous.